In college, I was a member of my school’s cross country and track teams. Looking back, I can’t imagine what my college experience would have been like without my teammates. I was blessed to have people that I could rely on, and to have this constant support from people who had similar goals and values, who were always pushing me to be the best I could be. 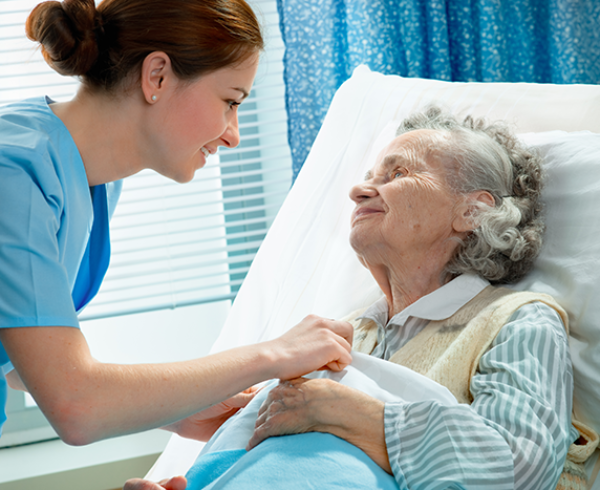 Now, you may be wondering, what does that little anecdote have to do with hospice? Many people don’t know this, but hospice care is all about teamwork. In fact, each patient who comes on to hospice services is assigned to an interdisciplinary team (IDT) to direct their care. This team is just what it sounds like: people from different disciplines (or specialties) who come together to pool their gifts, talents, and ideas in the hopes of providing the best-quality care possible for each and every patient. In addition to assisting patients with the management of their physical symptoms, this care also includes supporting patients socially, emotionally, and spiritually. These IDT members collaborate regularly (most members meeting at least one time a week) to individualize patients’ care plans to reflect their goals, needs, likes/dislikes, etc. Chaplains – are resources and facilitators for spiritual guidance, prayer, and rituals according to a patient’s preference; they may also collaborate with a patient’s church, minister, etc. While not every patient requires help from each of these disciplines, it is important to recognize that each hospice patient has an entire team behind him or her, ready to support this patient and his or her loved ones. Like most teams, IDT team members have similar goals and values, and function as sources of support to each other, while pushing each other to be the best social workers/nurses/aides/etc. that they can be. Each member of the IDT brings their own unique insights and experiences, but they all have one thing in common: they want what is best for their patients, and will do whatever they can to make sure that patients receive high-quality, compassionate comfort care at end of life.